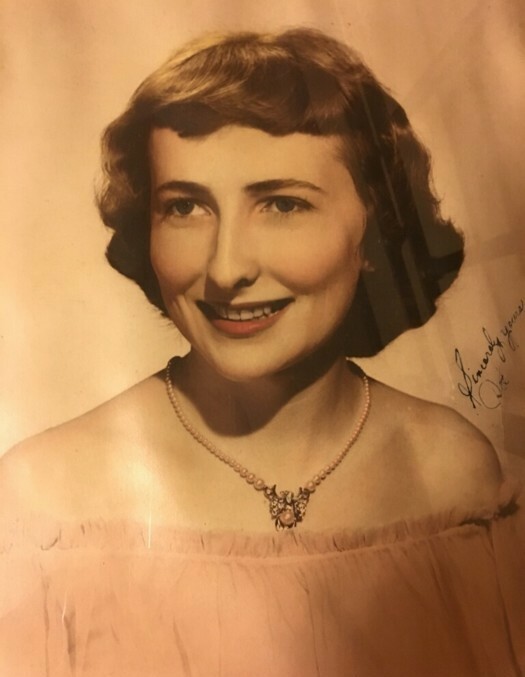 Dorothy S. Goodwin, 87, of Hatton passed away Friday, April 12, 2019 at her home. Visitation will be from 11 a.m. until 1 p.m. on Monday, April 15, 2019 at Okolona Baptist Church. The funeral service will follow at 1 p.m. at the church with Terry Settles officiating. Burial will be in Moulton Memory Gardens with Lawrence Funeral Home assisting the family. After graduating from Hatton High School in 1950, Dorothy attended Florence State Teacher’s College (now UNA) where she earned her Bachelors in Elementary Education in 1953. She served as an elementary teacher from 1953 until 1989. Dorothy was a member of Kappa Kappa Iota, a Sunday School Teacher, Deacon’s wife, and worked with the Women’s Missionary Union. Her hobbies included antiques, flea markets, and SEC football and sports. She was very proud of her grandchildren and their accomplishments. Survivors include her husband of 66 years, J. C. Goodwin; children, Cathy Sanderson (Scott) of Moulton, David Goodwin (Cheryl) of Killen, and Medina Peebles (Rodger) of Hatton; grandchildren, Laura Lee Wood of Lebanon, TN, Shawn Moore (Shawna) of Killen, Morgan Henley (Justin) of Trinity, and Carey Grace Peebles of Winston-Salem, NC; great grandchildren, Oliver Wood of Lebanon, TN, Brooks Henley of Trinity, and Catherine and Steven Austin of Killen; sister-in-law, Marie Sandlin of Moulton; and a multitude of nieces and nephews. Dorothy was preceded in death by her parents, Claude and Lassie Sandlin; sisters, Dean Thrasher and Wilma Bruton; and brother, Owen D. Sandlin. Pallbearers will be Rodger Peebles, Justin Henley, Scott Sanderson, Kenneth Bruton, Edwin Smith and Teddy Owens. The family extends thanks to the Lawrence Medical Center staff, Hospice of the Valley and the Hatton community. A special thank you to her caregiver, Gayla Lewis. In lieu of flowers, memorials may be made to Okolona Baptist Church, 6628 County Road 236, Town Creek, AL 35672.